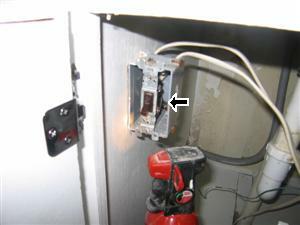 Non-GFCI outlets in water source areas are a safety hazard. 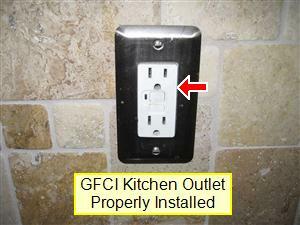 GFCI (Ground Fault Circuit Interrupter) outlets should be located in kitchens within 6′ of the sink, wet-bar sinks, in bathrooms, garages, unfinished basements or crawl spaces, outdoors, near a pool, or in any other area that may come in contact with moisture. 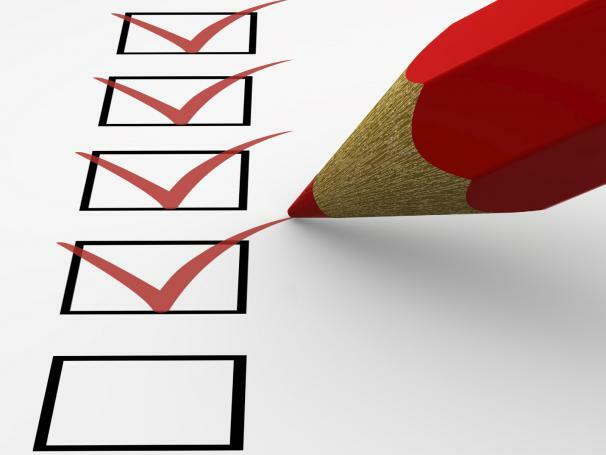 There are exceptions for inaccessible outlets and those dedicated to appliances (occupying fixed spaces): typically refrigerators in kitchens and garages, freezers in garages, sump pumps and laundry appliances. 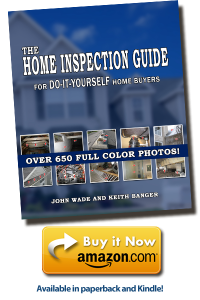 Turn on both the kitchen faucet and sprayer and check for leaking. 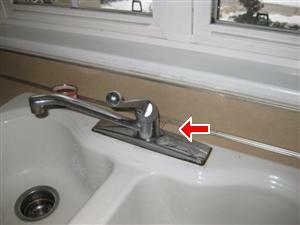 Check for water leaking around the base of the faucet or under the sink. Use the sprayer and check for leaking under the sink at the connection near the base of the sprayer. 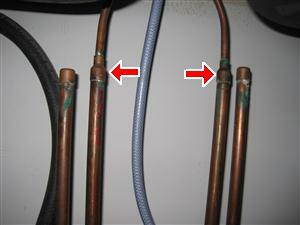 Check for water leaks coming from the shut-off valves. 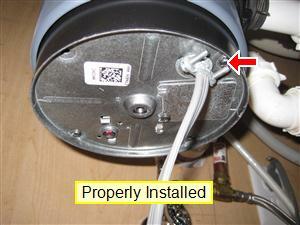 Check the valve under the sink for leaks, we always recommend that kitchen sink faucets have shut off valves. 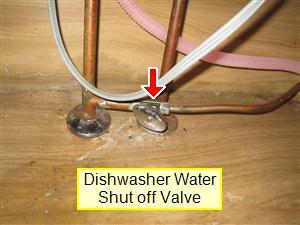 We recommend that all dishwashers have a shut off valve located under the kitchen sink. This is a photo of a less expensive kitchen faucet sprayer that is leaking under the sink.Or you will find these just not operating. 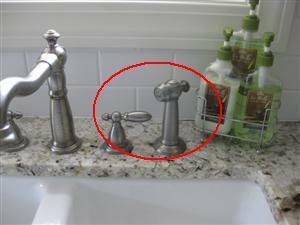 Kitchen faucets and sprayers are common sources of leaks, and this is anewer more expensive one that is leaking. 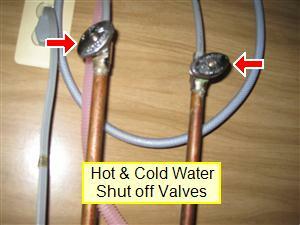 We recommend that all water lines hot and cold valves and dishwashers have shut off valves installed. Fill both sides of the sink and make sure they drain properly. 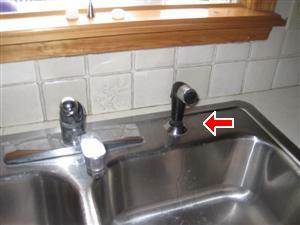 Turn the water on then turn on the garbage disposal then check under the sink for leaks near or around the disposal. 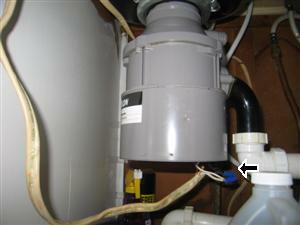 Make sure the garbage disposal is wired properly and plugged into an outlet and that the outlet is grounded. 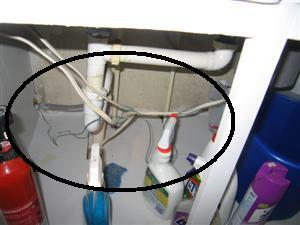 It is very common to find spliced wires under kitchen sinks leading to a disposal which is a safety hazard. 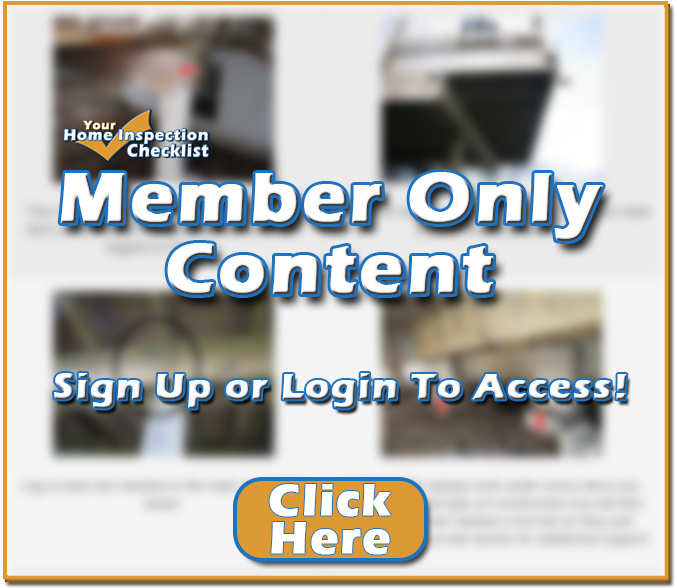 Make sure the plumbing trap has been properly installed under the kitchen sink. 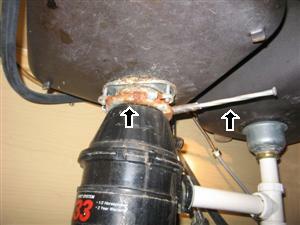 Always check the top of the disposal where it connects to the sink, this is a common area to become rusted. Romex wires running to a garbage should be run in a armored flexible cable for safety. 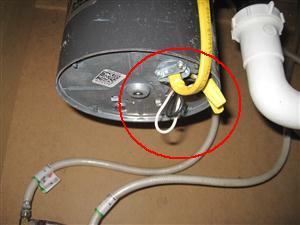 The garbage disposal should be properly wired with no visible romex wires for safety. Exposed wires under the garage disposal is a safety hazard. This kitchen garbage disposal is not wired safe, the switch is missing a junction box cover and the electrical wire should be run in an armored cable for safety.